﻿ Pricelist for used tires export from Germany. Make your own price! We are wholesalers. The minimum quantity you should buy is 100 tires. All tyres are inspected by sight. We do not sell scrap tires. Nevertheless, our tyre mixtures have different conditions and quality standards. Whether you can sell a specific tyre mixture depends on the market you want to sell the tyres. For Example: 2 mm tyres are not good for the European markets but you could sell it to Africa. If you buy used tires and you have the possibiliy to see them, then always check some tires by yourself. Take as many used tires as possible from a tire mixture of your choice in your hands and check the quality of the tires with your own hands. All employees will be pleased to assist you. It is importand to avoid misunderstandings, thus, you know exactly what you get. Category 1 used tires are recommended for all countries in Europe and many countries in Africa, and the South and Central America. Category 1 and 2 used tires are recommended for all countries of Africa, Central America and South America such as Algeria, Morocco, Tunisia, Ivory Coast, Gambia, Ghana, Angola, Ethiopia, Benin, Cameroon, Kenya, Congo, Madagascar, Namibia, Nigeria, Rwanda, Zambia, Senegal, Zimbabwe, Tanzania, Chad, Uganda, Costa Rica, Dominican Republic, El Salvador, Guatemala, Haiti, Honduras, Jamaica, Cuba, Mexico, Nicaragua, Panama, Argentina, Bolivia, Brazil, Chile, Ecuador, Colombia, Paraguay, Uruguay , Venezuela, etc. Whether you can better sell the category 1 or 2 tires depends on the region in the country. Category 3 used tires are recommended for countries with poor infrastructure and a badly developed road network like in Lesotho, Algeria, Uruguay, Zimbabwe, Bahamas, Zimbabwe, Guatemala, Laos, Cambodia, Tanzania, Tunisia, Ghana, Zambia, Uganda, Nicaragua, Ethiopia etc. Our normal price applies if the customer purchases more than 80% of a tire mixture. You will get our best price when you purchase a complete tire mixture. Then you will get 10% discount. Our flexible price applies when the customer purchases less than 80% of a complete tire mixture. We collect tires as used tires. We do not produce tires, so we can only sell the tires that exist in our market. 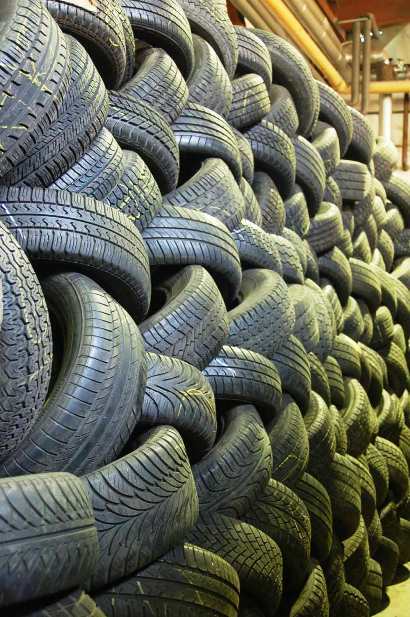 The more tires you choose, which are popular in our market, the cheaper the price will be. Overall, your export price will be the more favorable the more tire sizes you choose. In our Export Wizard you will see which tires are popular. Look for tyres in our Export Vizard. We prepare them at our place. You can not choose the tyres by yourself. We always pay attention that every customer gets a fair mix of good and less good used tires from a tire mixture. We sell used tire mixes, which always contain many different tire sizes. We only deliver to such customers who can buy many tire sizes that are available at our company, which are "popular" in our market. You can see how these tire mixes look like if you click on "View tire size" or if you send us an used tire Export Inquiry. In a complete tire mixture of 100% of all tire sizes, you can always find tires that you cannot find in the tire list. In our tire lists you can only see the tire sizes, which can occure 1 time on 10.000 units. All rare tire sizes are not shown in the lists. All our used tires are very carefully inspected by sight according to our high monstertyres quality standard. A quality standard is defined for each tire mixture. You can see this when you click on the tire mixture at the top or scroll down on the page. Category: Here you see the condition of the tires. There are category 1, 2 and 3 (see graphic above). Please choose the used tire mixture with the condition that fits to your market. The schema shows the part of the tires, in the different categories and these that can mostly be included. Sometimes the decisions on the parts are not measurable, they depend on the know-how of the inspector. Depth of tread: Here you can see the profile depth of that tire mix. Please choose the right tire mixture. A plus (+) means that in this tire mixture can be included tires with a higher depth of tread. This can happen when the tire condition for the next higher category is not good enough, this can also be the case for a production-related depth of profile (for example, off-road / SUV can have up to 15 mm depth). DOT: DOT indicates the age of the used tire and is indicated in the designation on the tire. With us, it’s not possible to limit the age of the tires. Series: Here you see the "series" included in this tire mixture. The series indicates the ratio of the height and the width of the tire. The smaller the series are, the smaller the tire looks from the side. Typical sport tyres have a series 50 or smaller. The series is ALWAYS the middle number in the composition of a tire size. 205/50/16 means that the tire has a series of 50. You can select the series in the request or by selecting the appropriate tire mixture. Brand: Here you see which brands are included in this tire mixture. You cannot select the marks. As we only collect tires, all brands will be included in a tire mixture. There are always a lot of well-known brands such as Continental, Michelin, Pirelli, Bridgestone, Goodyear, Dunlop, Toyo, Uniroyal, Yokohama, Hankook, but also less well-known brands and the no-name brands. Each customer gets a fair mix of known and less well-known brands. Defects: All tires are inspected by sight according to high quality standards. Nevertheless, it can happen that used tires have defects. The quota may not be higher than we indicate it here. The used tires are not pressure tested. A pressure test would significantly increase the test effort, in return we should sell the tires 1-2 € more expensive. - used tires in the mixtures 3-8, 3-5 and 4-8 mm have an additioal cost of 2,00 € more per tyre, when you buy them in pairs. - There are no additional costs for winter or summer tires, if you order only winter or only summer tires in pairs. - In the quality 3-4 mm, pairs costs 0,50 € per unit. - If you choose winter tires or summer tires, it costs 1,00 € per unit. - You order pairs, that costs 1,00 € per unit. - You buy winter tires or summer tires only, that costs 1,00 € per unit. monstertyres is a platform for used tires and other goods. We sell used tires and goods on behalf of our partners and tire companies who follow our quality standards. In a mixture of 100% it is possible that there are rare tire sizes that you did not order.